Polls opened from 7am (04:00 GMT) to 10pm (19:00 GMT) at 10,720 polling stations. Israeli citizens aged 18 and over, including those living in occupied East Jerusalem and West Bank, are eligible to vote. Israeli law excludes expats currently abroad from voting. 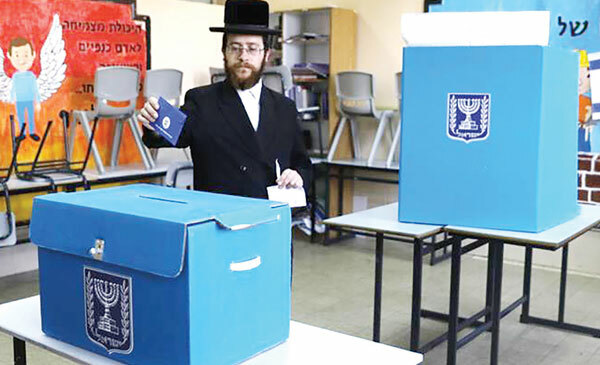 At a polling station in the French Hill neighborhood of Jerusalem, Yafit Scherer called voting an important privilege. “I voted for Gantz. I want to change the government. I don’t want Netanyahu to continue being PM. [Netanyahu] is a very intelligent and smart person. He’s brilliant but he needs to go,” she said. The poll also predicted that Netanyahu’s right-wing bloc would win 66 Knesset seats, with Israel’s centre-left parties winning 54, as reported by Israeli Haaretz. On Thursday, Israel’s Channel 12 released a poll in which respondents were asked who they would prefer to see as prime minister: 37 percent answered Netanyahu and 35 percent said Gantz.